Like an extraordinary diamond, your mother should be treasured. There's no denying the love your mother has for you is extremely rare and precious. Show your mother just how much you appreciate her by spoiling her on Mother's Day. With our wide variety of remarkable diamond and tanzanite jewellery pieces, you will be sure to find the best jewellery gift for her on the special day. For the perfect Mother’s Day 2018, we thought to give you a helping hand on how to make your mom feel special with the ultimate itinerary. Most of the exciting activities on the Mother’s Day itinerary can all be done at the convenience of one place, the V&A Waterfront, Cape Town. Whether you’re planning a Mother’s Day lunch, shopping spree and a movie make sure to book in advance and avoid disappointment. It’s not every day a mother is able to escape her busy schedule and enjoy a relaxing trip away from home. Surprise her with the ultimate getaway by booking her into a guesthouse or lodge over Mother’s Day weekend. Make sure the venue has a pool, delicious breakfast and a spa. This way, she will have everything she needs to enjoy a bit of downtime. Your mother is your best friend, supporter, and mentor. With that said, she has a fulltime job looking after pretty much everyone. Show your mother your appreciation by taking her for a relaxing day at the spa. Take your mother away from the hustle and bustle of everyday life, to a remarkable spa day where she has the option to select a wide variety of hydrotherapy, facials, massages, beauty and body treatments. There's no denying your mother deserves to feel relaxed and energised. Spoil your mother with an unforgettable High Tea at the luxurious 5-star hotel. The One&Only Resort in Cape Town offers a breathtakingly beautiful view of Table Mountain and is one of the best High Tea venues in Cape Town. Enjoy a selection of their finest delectable pastries while lounging against the magnificent backdrop of Table Mountain. The refreshing seaside breeze is truly magnificent and will make your mom feel extremely special! When a mother goes shopping it’s usually for groceries or for the rest of the family. Why not spoil her with a special shopping spree just for her? Make sure to take her to all her favourite shops and then treat her to a Mother's Day lunch or dinner with the rest of the family. There’s nothing more spectacular than a relaxing autumn picnic in the month of May. Make sure to pack a delicious picnic basket and a blanket with a nice bottle of wine. Enjoy quality time with the family while celebrating your mother in style. She will most certainly enjoy a beautiful day outside in nature. For some quality time with your mother book an experience, you both will enjoy. For example, head over for a wine-tasting course, cooking session or a painting class. During these unique experiences, you will be able to spend time with one another, have fun and even end up learning something new together. There’s no greater memory than the time spent with your mother. Recreate the special moments you previously had with your mom by planning a personally guided tour of the Cape Town Diamond Museum. The exclusive tour will open your eyes to the captivating and fascinating world of diamonds while giving you and your mom time to spend together. Like a diamond, the time spent with your mother should be treasured. Download your complimentary admission voucher today. Sometimes a trip to the cinema is just as special as dinner at a restaurant. Make sure to do your research and book tickets to a movie with an exceptional rating for you and your mom. This way, you and your mother will be able to enjoy that quality time together you both have been longing for, for so long. Make your mom feel extra special by spoiling her with one of her favourite home cooked meals. Decorate the dinner table with her favourite colours and place special notes of how much you appreciate her around her plate. 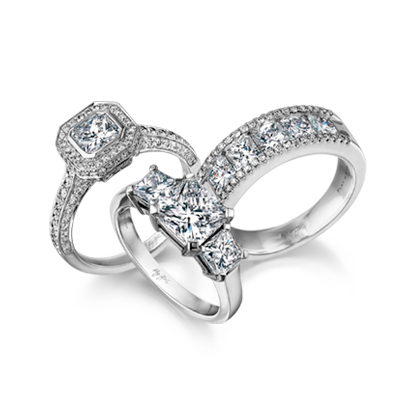 Top the evening off with a one of a kind gift she will remember forever. Mother’s Day quotes best describes the beauty of motherhood, our favourite is: “Of all the gifts that life has to offer, a loving mother is the greatest gift of all”. Celebrate the special memories you share with your mother with this and other DIY Mother’s Day gifts. Create a personalised album of all the good times you’ve shared together along with inserts of Mother’s Day poems that will help get the sentiment of your relationship across. This and other Mother’s Day gift ideas could either be done electronically or you can print the images and place it in a personalised album filled with Mother’s Day wishes. Your mother will definitely spend hours paging through the spectacular moments you spend together as a family. Celebrate Mother’s Day 2018 with a one-of-kind diamond pendant or jewellery creation from Shimansky. Each unique diamond and tanzanite jewellery item is specially created for the person it was meant for. Surprise your mom with unforgettable Mother’s Day gifts she will be able to treasure for many more years to come. Discover Dancing Tanzanite pendants from R4 995 or Dancing Diamond Pendants from R8 995 available in store, or gift a pair of matching My Girl diamond earrings now only R8 995. Shimansky also offers a wonderfully warm, feminine scented perfume for women. The one-of-kind fragrance it a unique way to remind your mother each day of the loving memories you had together on Mother’s Day. The exquisite Captivating perfume offers a scent for every occasion. Make this year a happy Mother’s Day with a one-of-a-kind jewellery gift from Shimansky. Like your mother, a Shimansky creation is truly unique and unforgettable. The classic tanzanite and diamond bracelets is a timeless jewellery design that adds sophistication and glamour to any occasion. Surprise your mom with the My Girl diamond tennis bracelet crafted in 18K white gold. Celebrate her first Mother’s Day with a designer jewellery gift she will never forget. Our selection of diamond and tanzanite pendants is the ultimate jewellery accessory that embodies endless style and elegance. The timeless and classic My Girl diamond pendant is a Mother's Day gift she will always keep close to her heart. View our wide variety of exquisite pendants to suit each unique style and personality. Do you have that one magnificent woman that plays an extremely important role in your life? Remind her exactly what she means to you with an ultimate Mother’s Day jewellery gift. Shimansky offers a variety of gorgeous and timeless tanzanite and diamond creations to take her breath away. For Mother’s Day gift ideas and inspiration view the one-of-a-kind Shoreline collection. Let her know she is loved on this special day. Like your mother, your grandma has a special place in your heart. Make her feel special this Mother’s Day with an extraordinary pair of diamond earrings. Shimansky has a wide selection of dazzling diamond earrings to fit every occasion, come day or night. Let your grandma shine from the inside out with a beautiful pair of square emerald stud earrings. There isn’t anything your mother won’t do for you, so be sure to double check when is Mother’s Day in South Africa. Return the favour on Sunday, 13 May 2018 by planning the ultimate itinerary of gifts and events that will give you and your mom loving memories you can treasure for many more years to come. Mother’s Day might only be once a year, but the love you have for your mother is forever. Make sure to make every moment you spend with your mom count! Visit your nearest Shimansky store for exclusive special offers this Mother’s Day 2018.